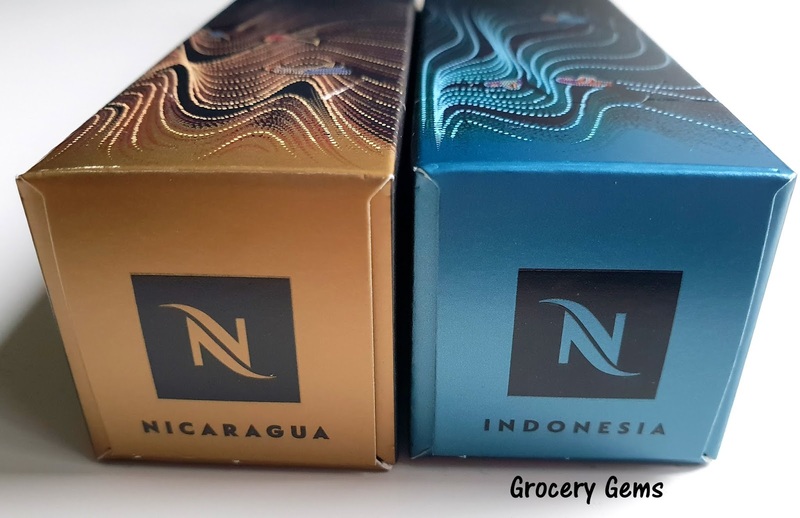 A quick review of two varieties from the new Nespresso Master Origin range - Nicaragua and Indonesia. There are also varieties from Ethiopia, Colombia, India and Mexico available (although the last one only seems to be available for the newer Vertuo machines). The Master Origins varieties have replaced the Pure Origins range which included favourites such as Dulsão and Indriya. It's still possible to buy some of the Pure Origins varieties online but they are now listed as *last chance to buy*. 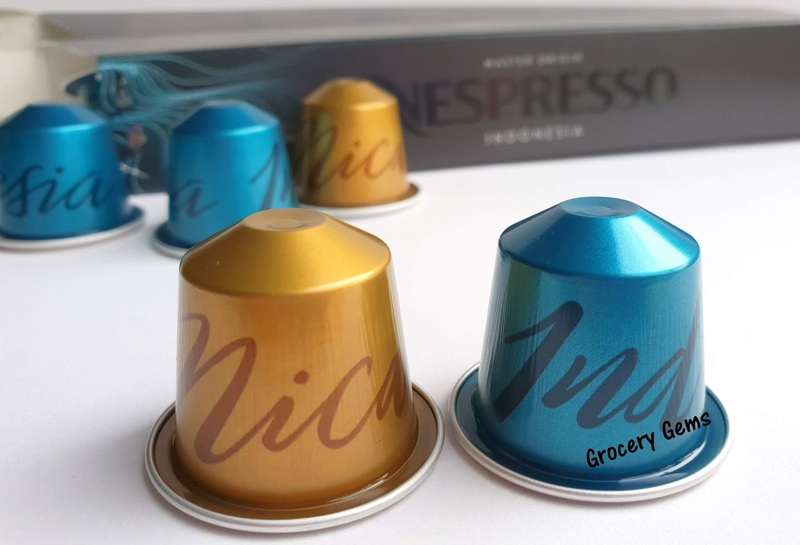 Nicaragua: The Nicaragua Master Origin has an intensity of 5 and is described as possessing a 'smooth honeyed texture with sweet cereal notes'. I found it to have a pleasing initial crema and a sweet, mild flavour. Disappointingly the flavour seemed to get weaker as I was drinking it and I'm not sure that this packs enough punch for my tastes. Indonesia: The Indonesian blend on the other hand has a fuller flavour and more distinctive profile. I preferred this stronger blend with it's slight hint of bitterness. It's described as being 'velvety thick, wildly aromatic with notes of cured tobacco'. 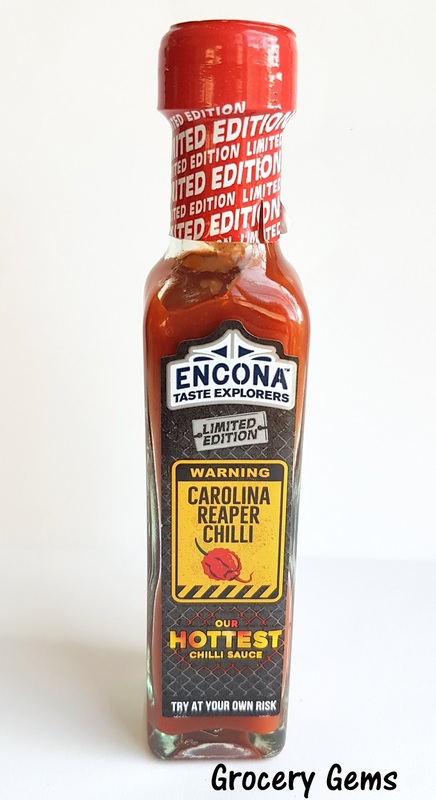 The first thought I had when I tried it (and before I read the description) was that it had a slightly smokey undertone. It's certainly unique and, although I enjoyed it, I don't think either of these coffees are going to make it onto my regular Nespresso orders. I'm still keen to try the other varieties in this range, especially India, which has an intensity rating of 11. 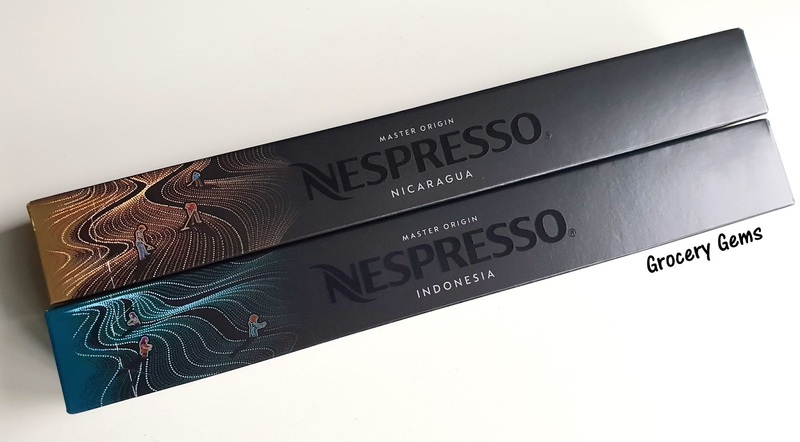 Let me know what you thought of the Master Origins range and whether you'll be missing any of the Pure Origins coffees in the comments below. Rating: Nicaragua - 5 out of 10; Indonesia - 6 out of 10. A quick look at all the goodies that arrived in the April Degustabox. It was a packed one! Keep reading for all the details and also a fab money off code for your first box. 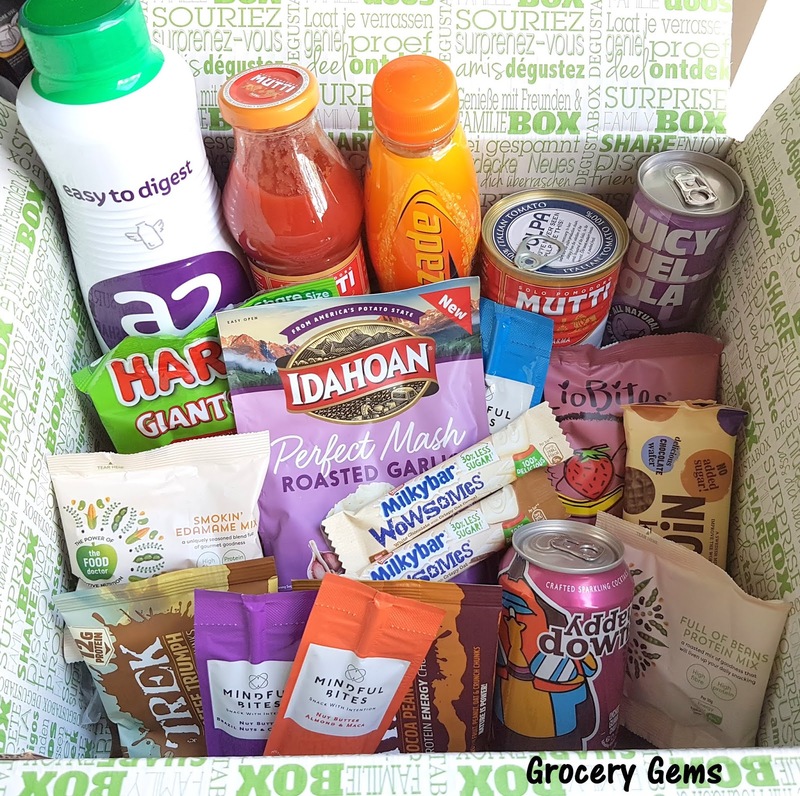 Degustabox is a monthly foodie subscription service that sends out a range of specially selected foodie products. 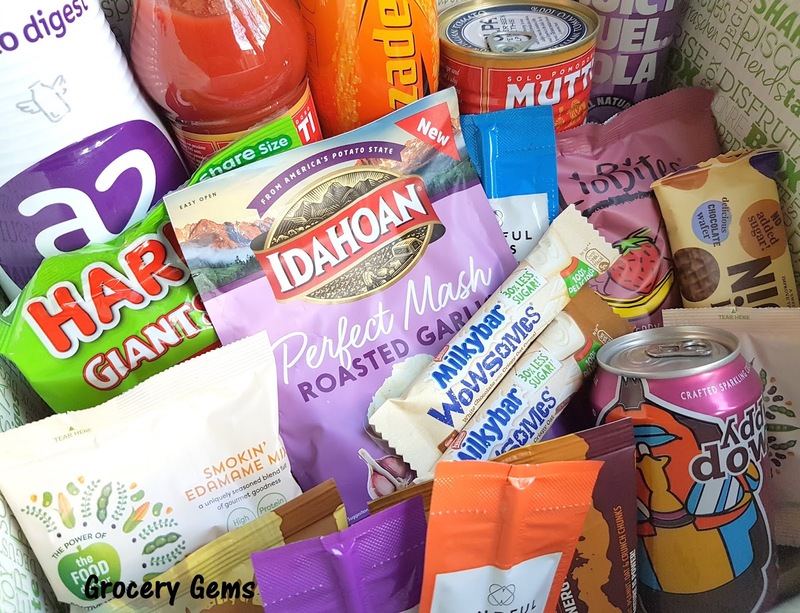 There's always a great mix of new products that I haven't tried before, as well as plenty of treats from more established brands. 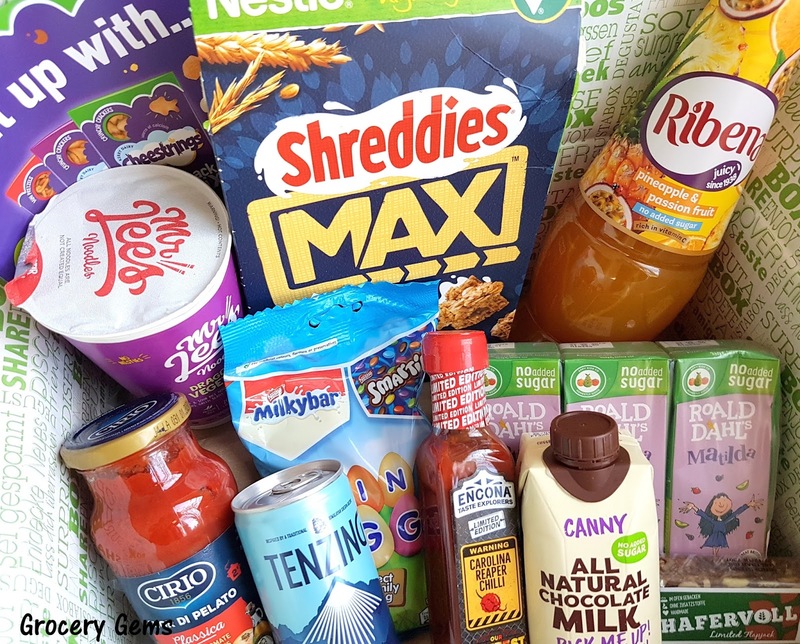 Each Degustabox costs £12.99, delivery costs are included in the price, and there is no fixed contract involved - you can cancel at any time. a2 Milk: A full size bottle of easy to digest a2 Milk. This long life milk is naturally free from the A1 protein found in regular cow's milk so it's easier to digest. I always like to keep a bottle of long life milk in the cupboard so this will come in very useful. 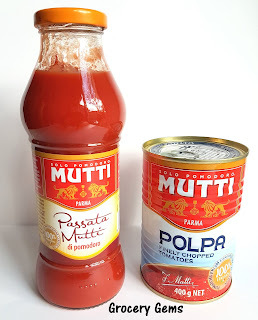 Mutti Passata & Finely Chopped Tomatoes: This expensive looking brand is the winner of a Great Taste Award and uses only the finest Italian tomatoes. I use a lot of tinned tomatoes and passata at home in my cooking so I couldn't wait to give these a try. I was pleased to find that both had lovely thick textures with a wonderful depth of flavour to the tomatoes. 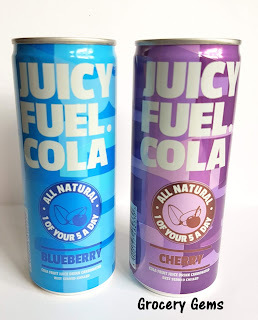 Juicy Fuel Cola: Two cans of an energy drink with a difference. 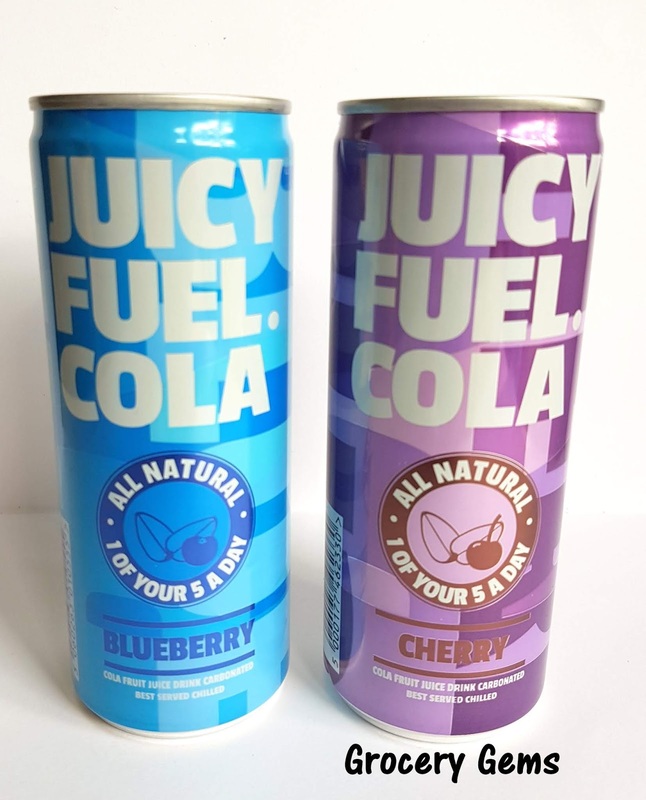 The all natural Juicy Fuel Cola is available in two flavours; Blueberry and Cherry. 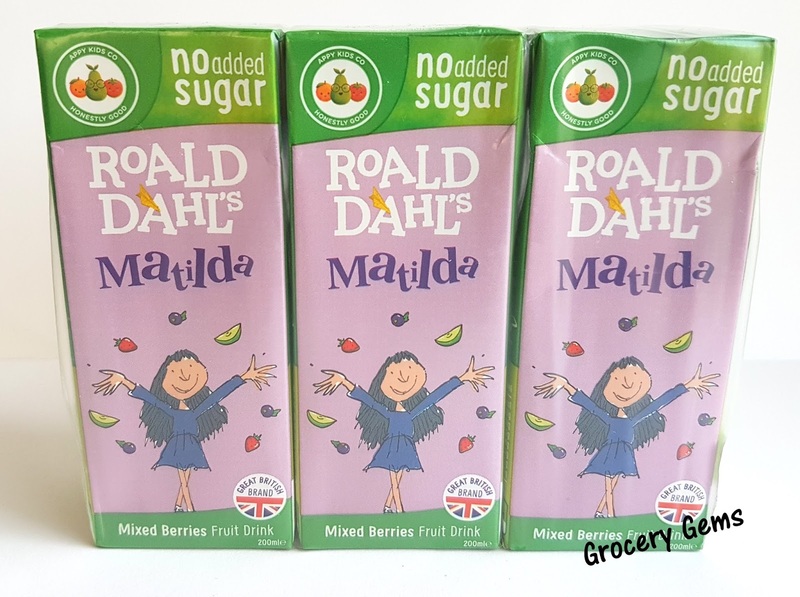 It's made with no added sugar, no artificial sweeteners and no preservatives and somehow also manages to be one of your five a day! I loved both of these - the flavours are deliciously fruity but also have that distinctive cola flavour. 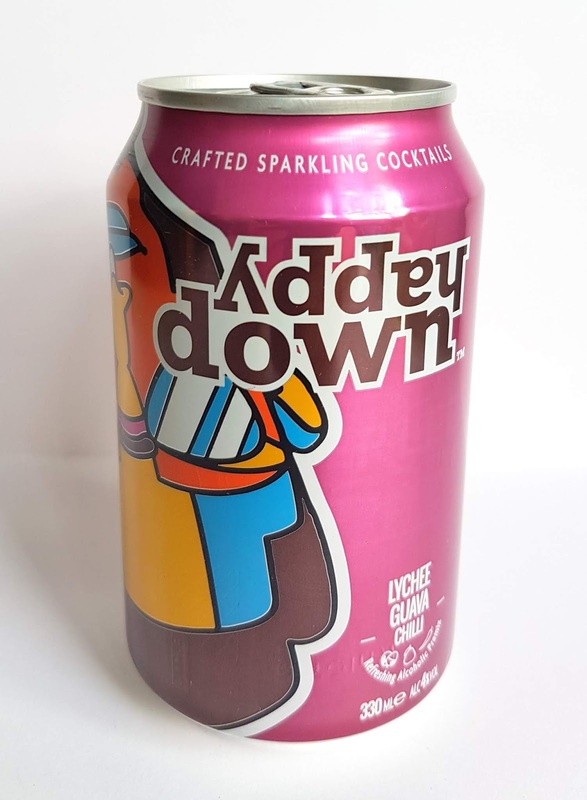 Happy Down Sparkling Cocktail: For subscribers to the alcohol option only. This is an intriguing drink flavoured with fresh lychee, guava, and a dash of chilli to create a refreshing cocktail. 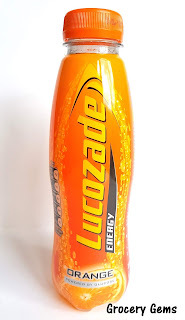 Lucozade Energy Orange: A bottle of Lucozade Energy - one of my husbands favourite drinks so he quickly called dibs on this one! 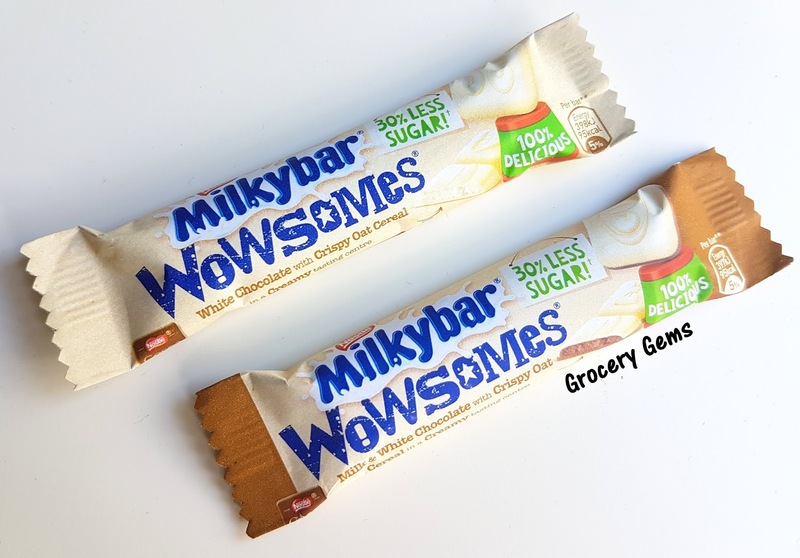 Milkybar Wowsomes: Little bars of Milkybar white chocolate made with 30% less sugar compared to similar chocolate bars. 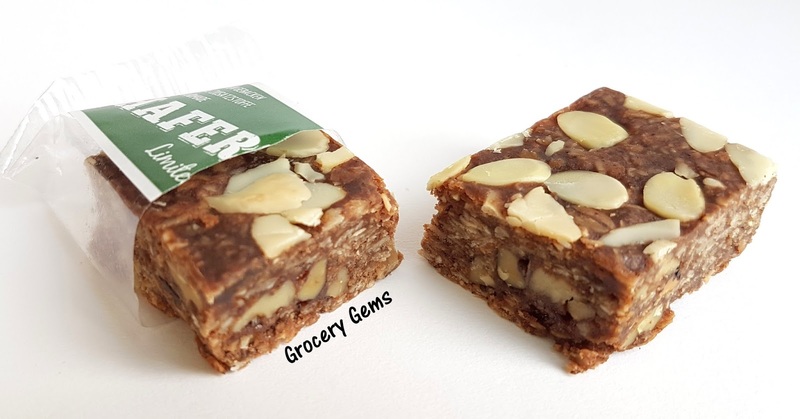 There are two varieties; white chocolate fill and milk chocolate with a crispy oat cereal. 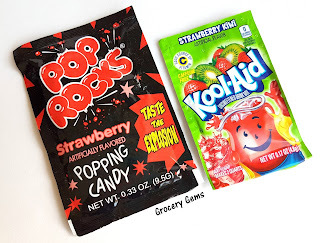 My kids loved these! Mindful Bites: A premium brand of unique nut butters blended with superfoods and unique flavours. I received four innovative 'squeeze sachets' which are meant to be eaten on the go. I loved the flavours of these, especially the Hazelnut & Blueberry Nut Butter - the fruity blueberry was a surprisingly good match for the creamy hazelnut butter. 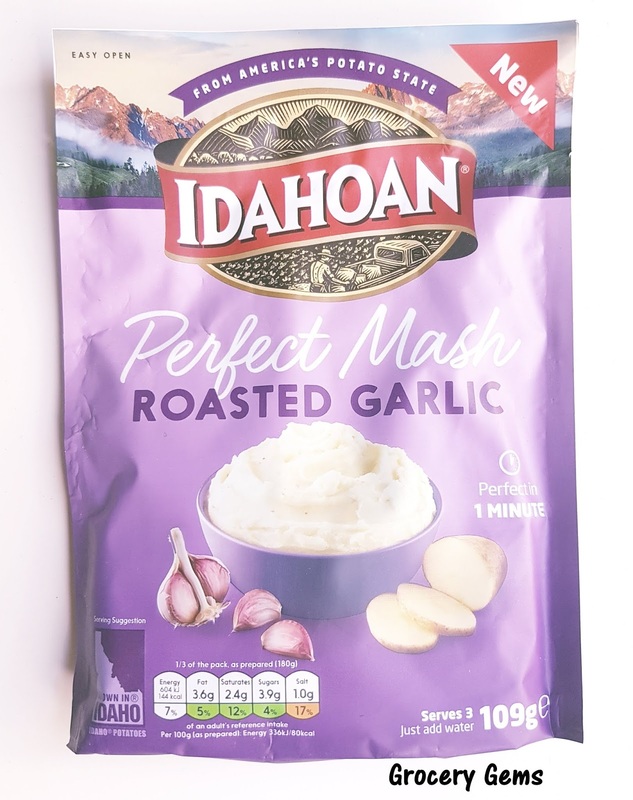 Idahoan's Perfect Mash: This easy to make instant mash is super convenient and tasty. The whole family loved the creamy, fluffy texture and delicious garlic flavour. It's perfect with veggie sausages! 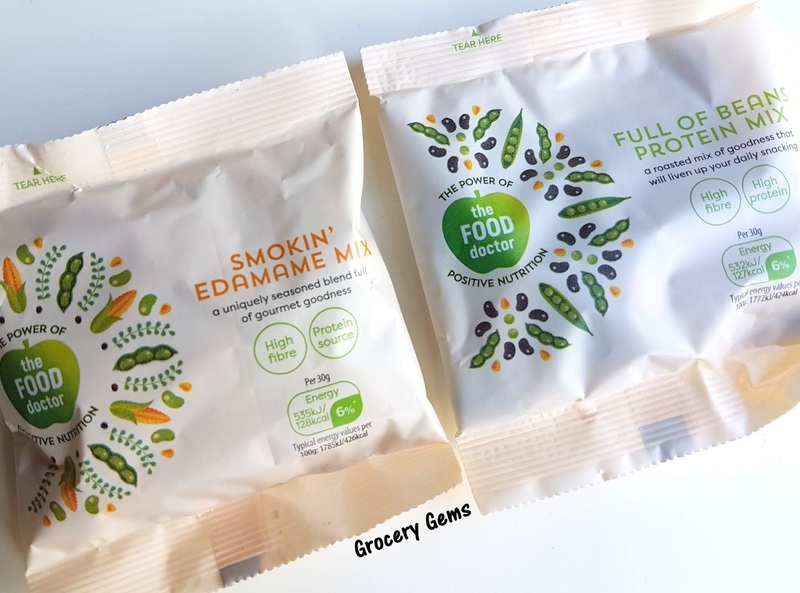 The Food Doctor: Two little packs of tasty snacks from The Food Doctor - a Smokin' Edamame Mix and a Full of Beans Protein Mix. 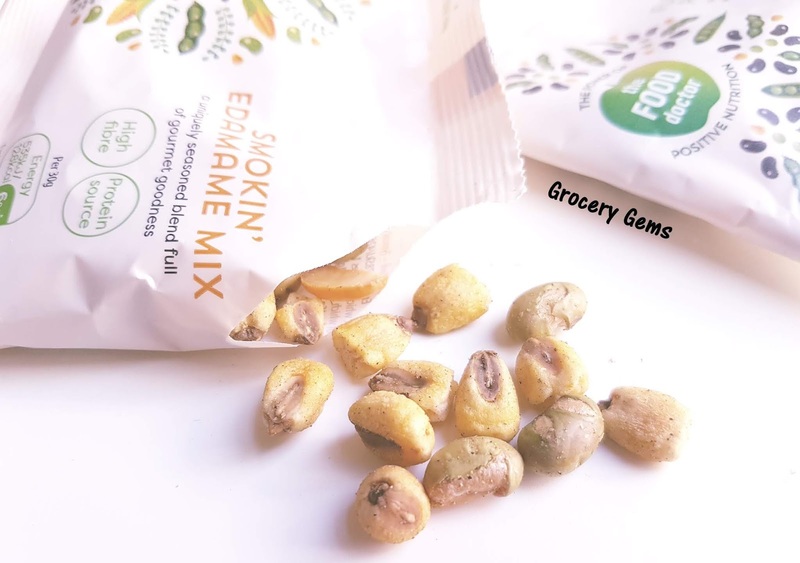 The snacks are high in fibre and a good source of protein. 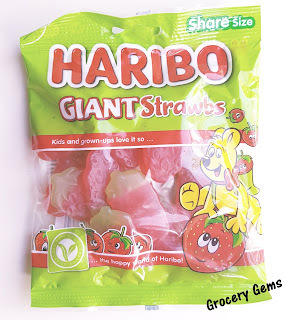 Haribo Giant Strawbs: Funnily enough this is one variety of Haribo that I've never tried. 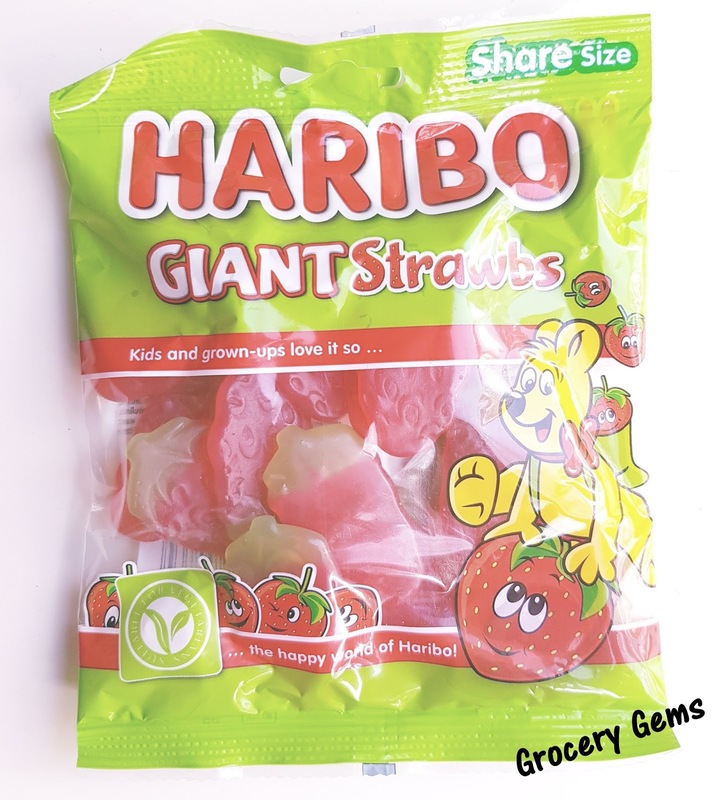 They're suitable for vegetarians and are now available in this sharing size pack and smaller pocket size packs. 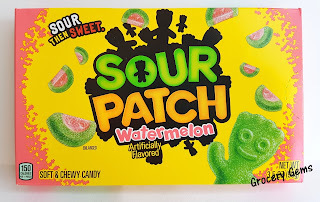 The flavour is super fruity with a sour edge and they also have a soft but slightly sticky-to-eat texture. Trek Protein Energy Chunks: Two bags of these Protein Energy Chunks in Cocoa Peanut Peak and Toffee Triumph from Trek. 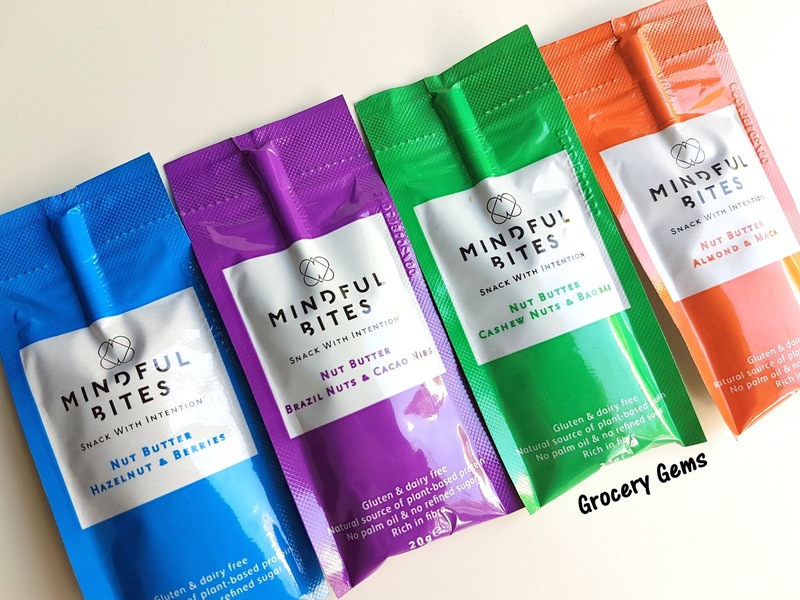 These are tasty cold-pressed nibbles made with natural wholefood ingredients. 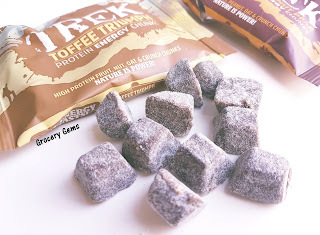 I enjoyed both flavours but I think the super sweet Toffee Triumph was my favourite. 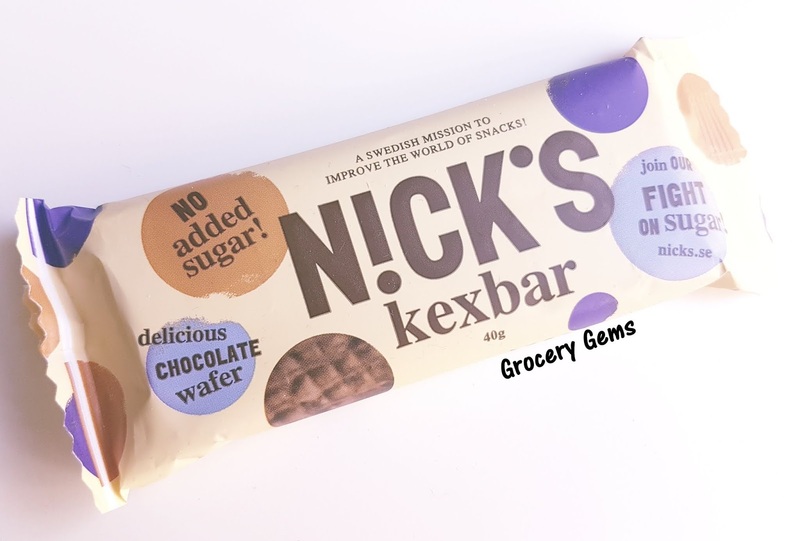 Nick's Kexbar: A chocolate wafer bar with no added sugar (it's sweetened with Steviol). 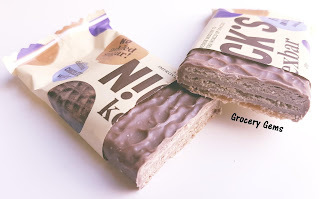 It's a tasty enough wafer bar with a nice vanilla sweetness. 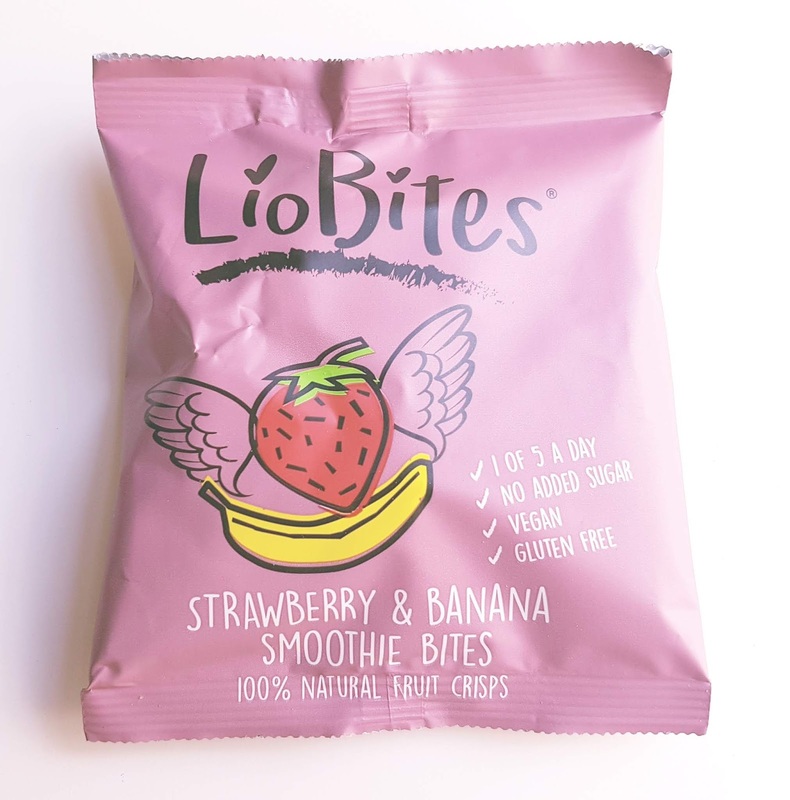 LioBites Strawberry & Banana Smoothie Bites: These are 100% fruit crisps made with freshly frozen fruit smoothies that are freeze dried. They're also 1 of 5 a day and vegan with no added sugar. 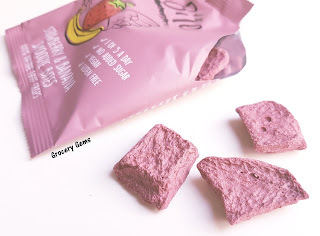 My kids really enjoyed the fruity flavour and fun crunchy texture. 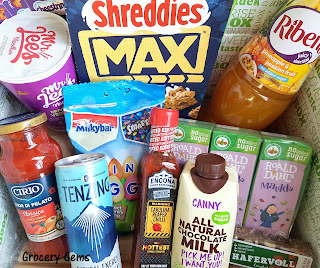 Once again I enjoyed the selection of surprise groceries in this month's Degustabox - there were plenty of new brands to discover. 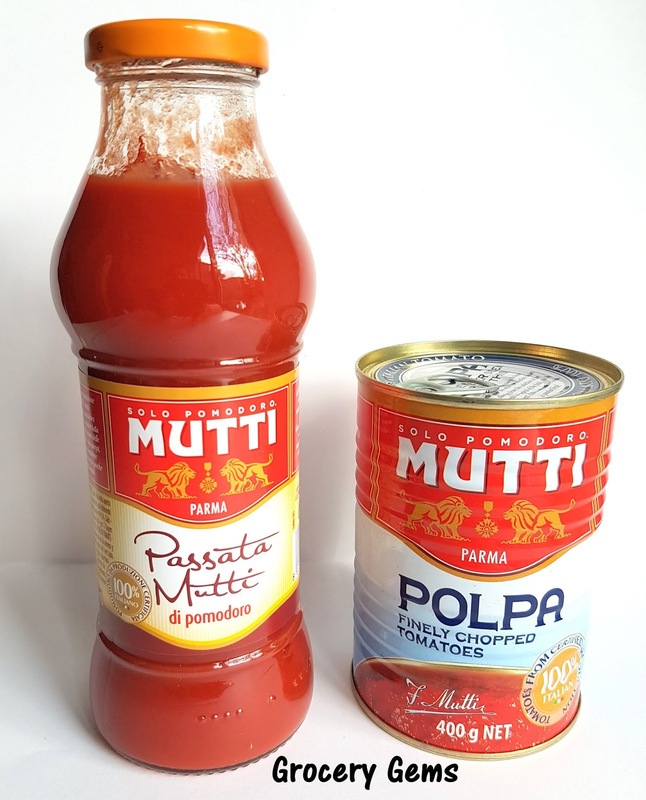 I was especially happy to find the Mutti Italian products, Juicy Fuel Cola and Idahoan Roasted Garlic Mash. 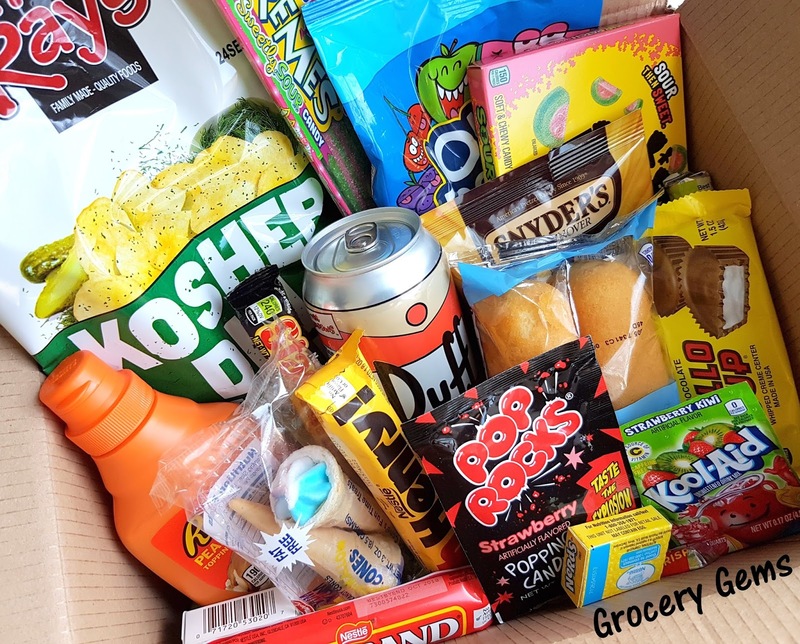 I'd love to hear your thoughts on this months Degustabox in the comments below. I received a Degustabox in order to provide an honest review. 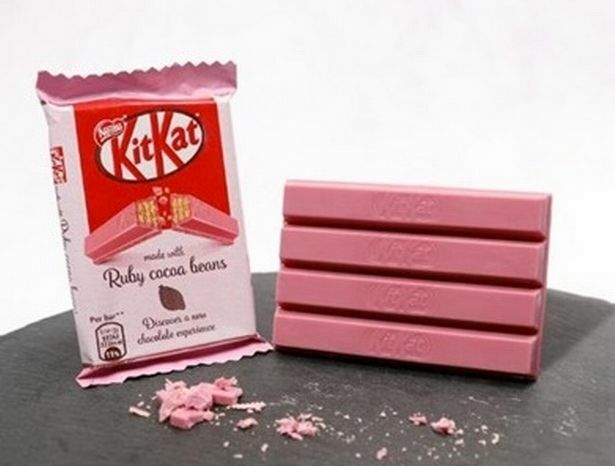 News: Ruby Kit Kat Pink Chocolate to be released in UK! A quick post with some exciting news that I just had to share - Nestlé UK is going to release their gorgeous looking Ruby Cocoa Beans Kit Kat bar in the UK next week! 'Pink Chocolate' was first developed by chocolatier Barry Callebaut amidst claims that it was the first natural variety of chocolate since white chocolate was created. Apparently a unique way of processing the cocoa beans creates the distinct colour and an intense berry-like flavour. This ruby chocolate Kit Kat collaboration was first unveiled in Japan and Korea but thankfully the UK will be the first country outside of that market to try the ruby treat. It's available from next week - Monday 16 April at Tesco. Who's excited? I know I am! 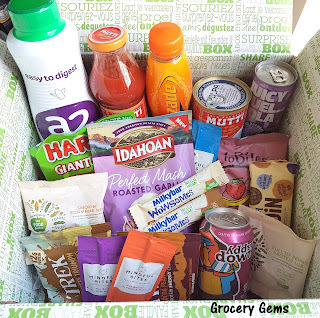 Degustabox Review March - Subscription Foodie Box & Discount Code! The March Degustabox arrived full of surprise groceries and treats. There were plenty of new brands inside, alongside the usual big hitters, and a chocolate treat for Easter too. Keep reading for details of all the products in the Degustabox and also a fab discount code. 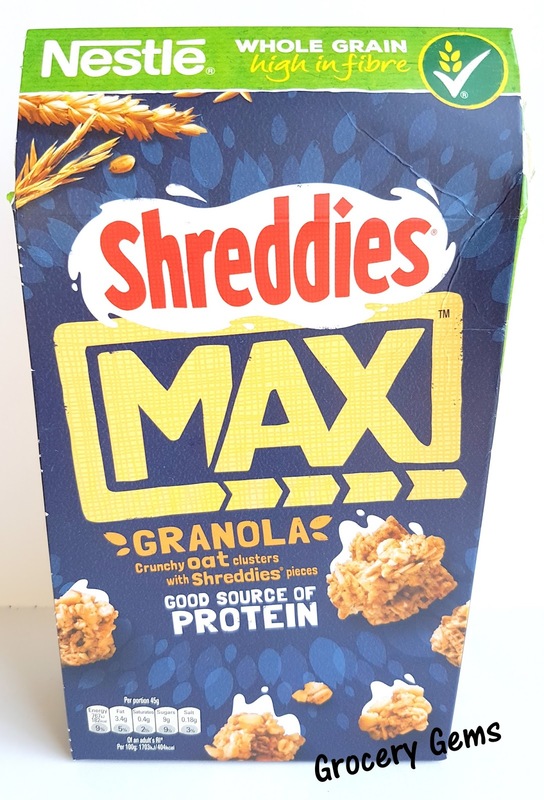 Shreddies Max Granola: A full sized box of Shreddies Max Granola. I've tried this cereal before and enjoyed it. 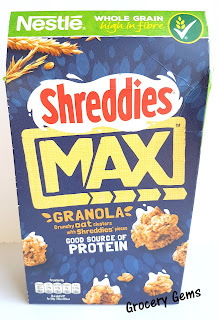 The granola pieces are made up of crunchy oat clusters with Shreddies pieces. Ribena Pineapple & Passion Fruit: I was excited to find this new summery Ribena flavour in the March Degustabox as I haven't seen this one instore yet in this larger size. The Ribena Mango & Lime was one of my favourite drinks last summer so I can't wait to give this Pineapple & Passion Fruit flavour a try. 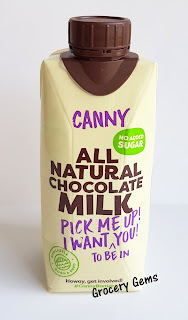 Canny All Natural Chocolate Milk: Degustabox often features quirky drinks by brands that are new to me. This chocolate milk by the Newcastle based brand Canny is made with no added sugar, 100% natural ingredients and is sweetened with date nectar. 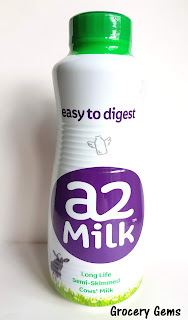 I don't like milk based drinks myself so I gave this one to my teenage son and he really enjoyed it, especially the strong chocolate flavour. 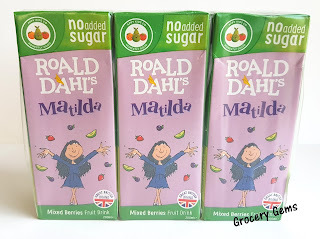 Appy Kids Co Roald Dahl Fruit Drinks: These cute Matilda themed cartons from the Appy Kids Co. are also all natural, no added sugar drinks. 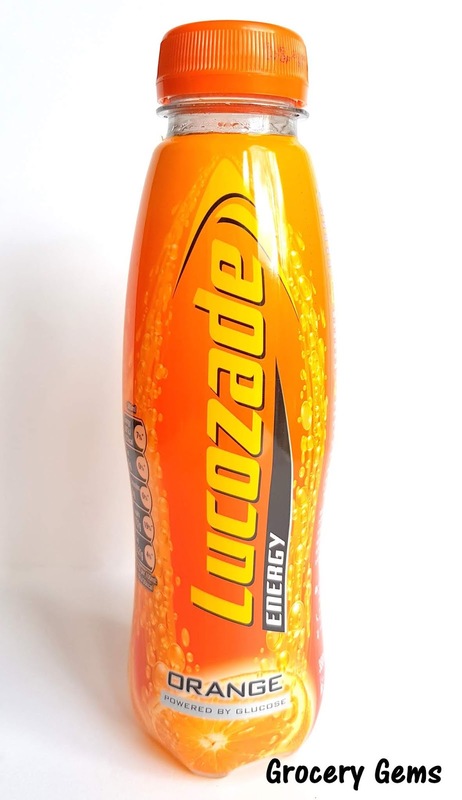 This Mixed Berry flavour is a mix of water and natural fruit juices to give a refreshing, light flavour. 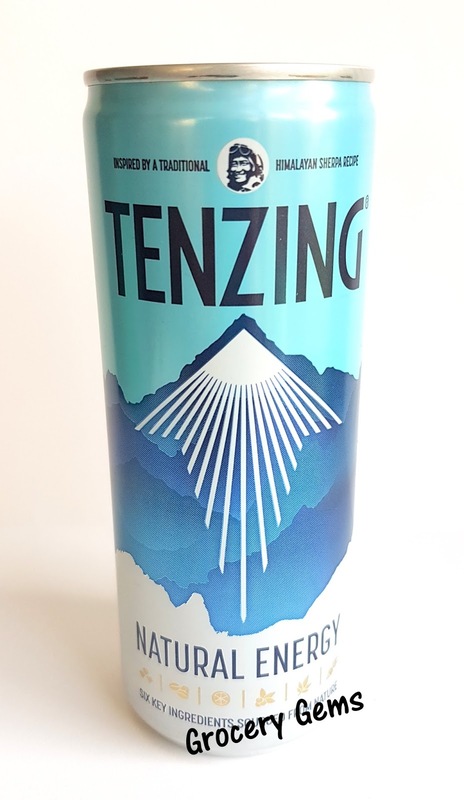 Tenzing Energy Drink: Another quirky drink is this energy drink inspired by the stimulating brews used by the Sherpa people during their Everest expeditions. It's even named after Sherpa Tenzing Norgay who was one of the first men on Everest. The drink itself is a combination of Green Coffee, Guarana, Green Tea, Himalayan Rock Salt, Beet Sugar and Lemon Juice. 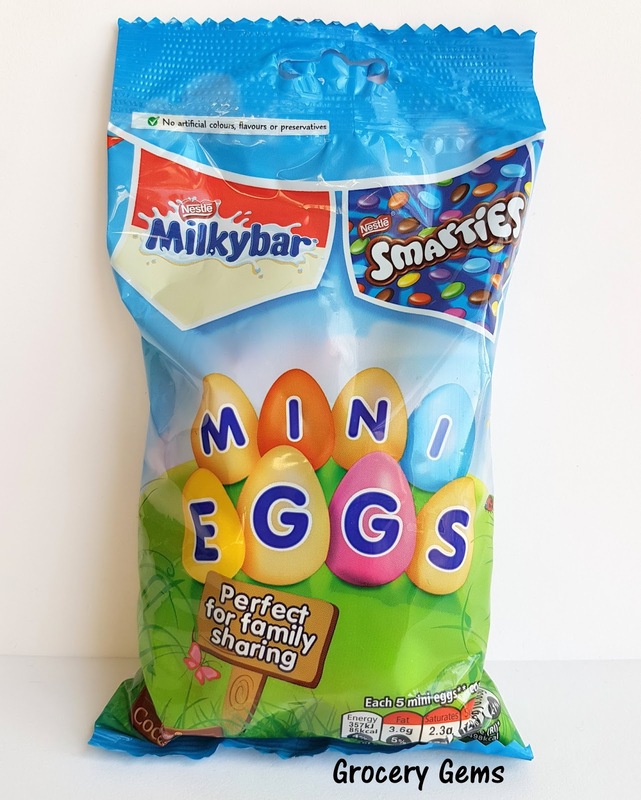 Smarties & Milkybar Mini Eggs: I must have missed this one in the shops because I would have snapped up several bags. 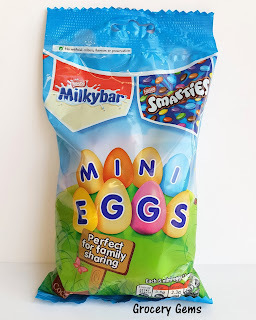 This large bag is filled with a mixed selection of milk chocolate Smarties mini eggs and white chocolate Milkybar mini eggs. There's also a easy recipe included in the Degustabox leaflet for Easter Chocolate Brownies using these eggs that looks just delicious. I'm hoping to give those a go over the Easter holidays. 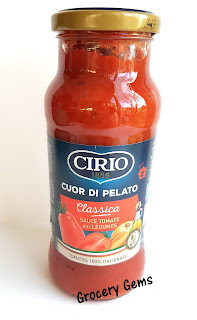 Cirio Pasta Sauce: Cirio is one of my favourite brands that I was introduced to via Degustabox. 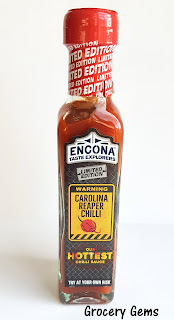 I'd never tried this range before but now I'm a huge fan of all of their products. 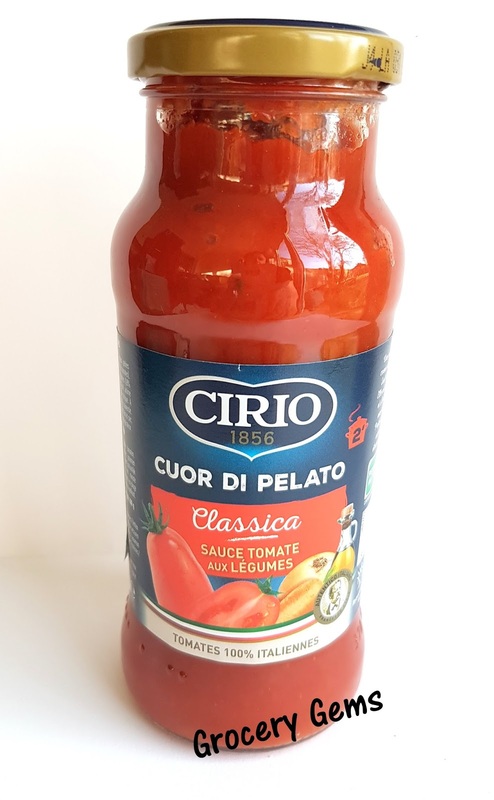 This new to the UK classic sauce, Cirio Cuor Di Pelato, is a delicious tomato sauce made with added vegetables. Mr Lee's Noodles: Mr Lee's is an award winning range of premium noodles in a cup that are gluten free, low in sugar, low in saturated fats, and free of nasties such as MSG. 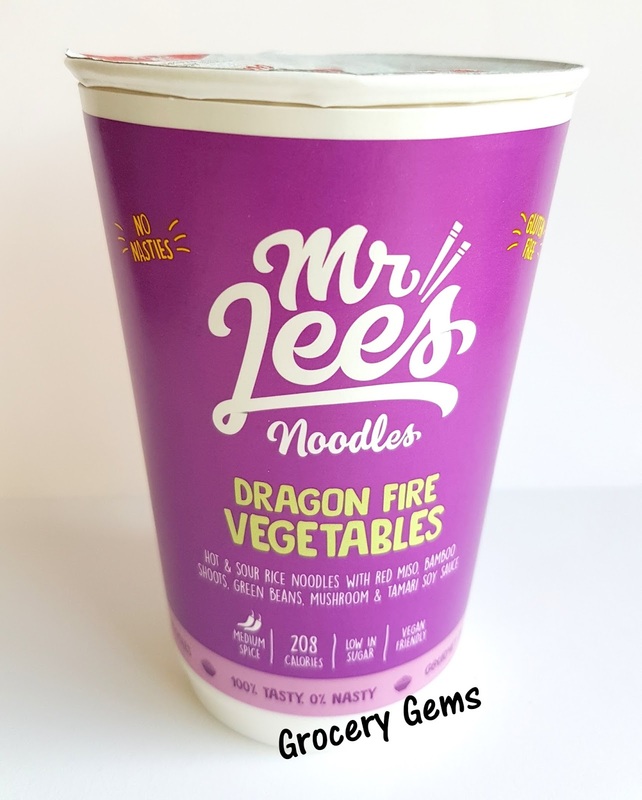 This Dragon Fire Vegetables pot has a medium spicy flavour with lot of added taste from the freeze dried mushrooms, green beans and bamboo shoots. 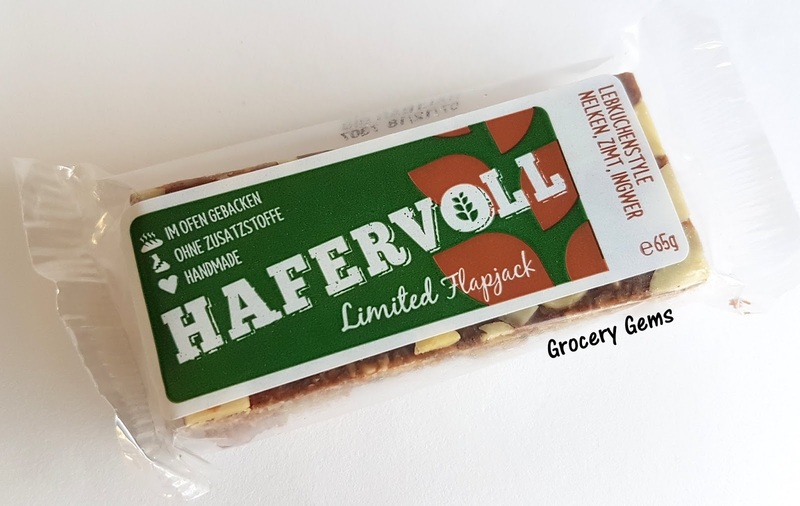 Hafervoll Flapjack: A gorgeous looking flapjack in a limited edition Lebkuchen flavour. It's full of delicious spices including cinnamon, ginger and clove. I love these types of spices and they're the perfect warming flavours for an Easter treat too. 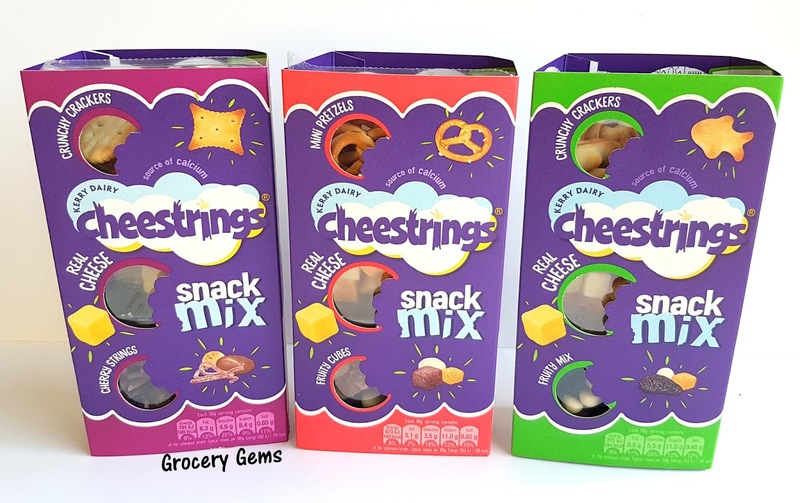 Cheesestrings Snack Mix: Also included in the March Degustabox is a voucher for a fresh product - the Cheesestrings Snack Mix. 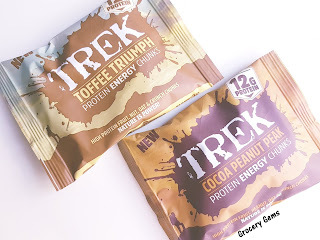 I was lucky enough to be sent a few of the packs to try out. There are three varieties available. 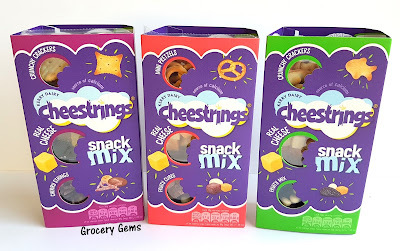 ; Fruit Mix, Cherry Strings or Fruity Cubes. 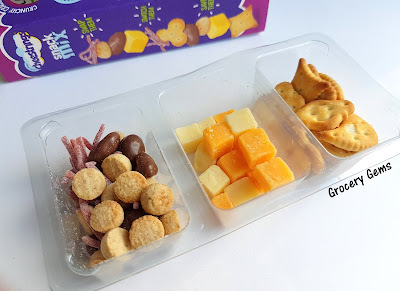 Each pack consists of a crunchy cracker or pretzel, some real cheese cubes and a sweet treat. 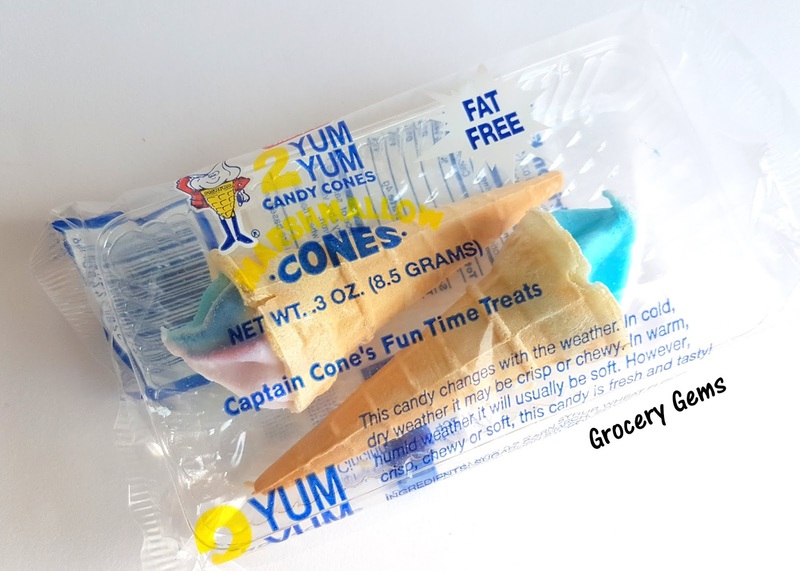 These are such a fun and tasty snack for kids. It's fun to mix them up if you're so inclined or to eat them separately with the fruity section as a sweet dessert. 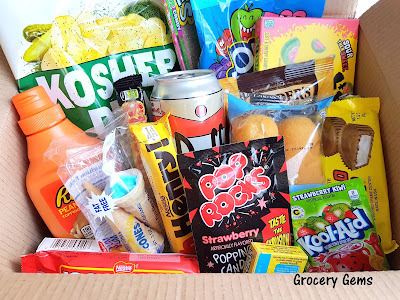 Once again I enjoyed unpacking all the surprise groceries in this month's Degustabox. 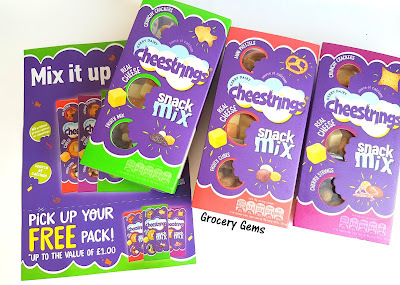 I was especially happy to find the Cirio sauce, Ribena, Cheesestrings Snack Mix and Mini Eggs. I'd love to hear your thoughts on this months Degustabox in the comments below. 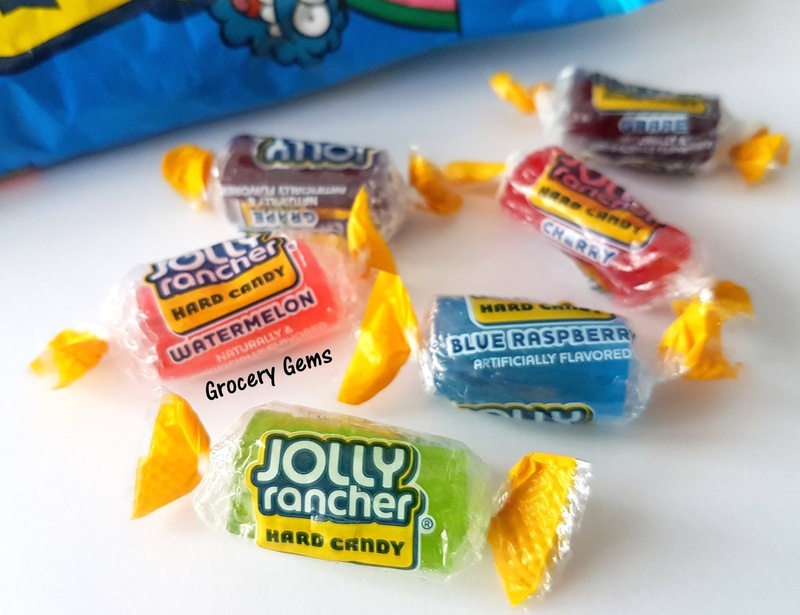 TAFFY MAIL REVIEW - US Candy Box & Discount Code! Taffy Mail is the original subscription box for American candy in the UK. I first tried one of their boxes back in 2014 (Taffy Mail Review) and I'm pleased to find that they are even better than ever. There are now three subscription level packages available to suit different budgets; £7.49p for Taffy Mail Lite, £14.99 for the Taffy Mail Classic and £24.99 for their Taffy Mail Extra. The great news is that Taffy Mail have given my readers a 10% discount code off any of their boxes for the next THREE MONTHS! 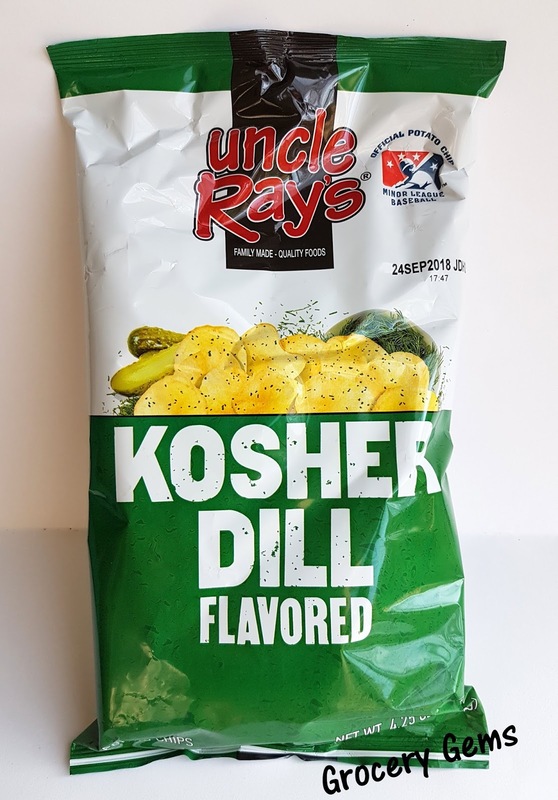 Uncle Rays Kosher Dill Flavored Chips: The star product is a large bag of Uncle Ray's potato chips. Dill is an unusual crisp flavour here in the UK so I was excited to give these a try. The crisps themselves have a thick and crunchy texture. 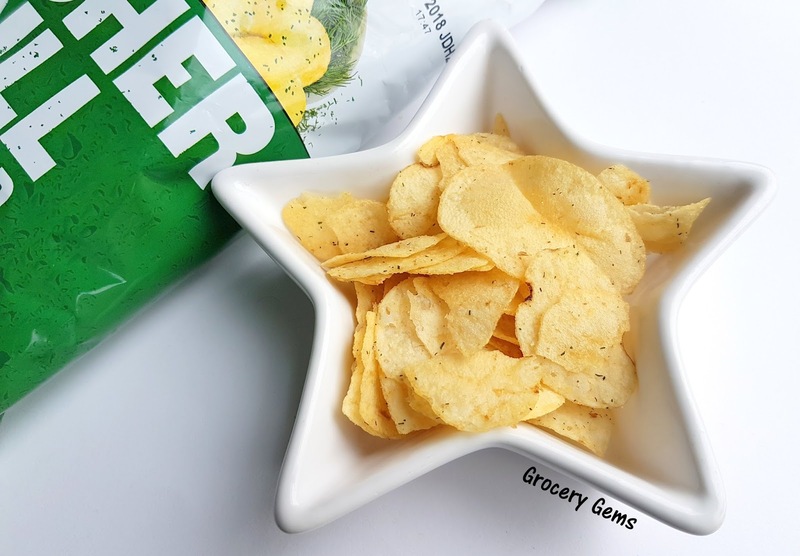 They're deliciously salty with a perfectly matched and strong dill flavour. I absolutely loved these and it's made me keen to try to track down more dill flavoured snacks! Jolly Rancher Hard Candy: A large bag of Jolly Racher hard candy in classic American flavours - Grape, Watermelon, Cherry, and Blue Raspberry. 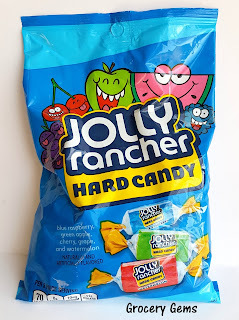 I'm not usually one for hard candies but these are really fun to try. The flavours are all fruity and strong, especially the Grape which is very overpowering. My favourite was the Blue Raspberry which is just like a blue Slush Puppy drink in a candy. Sour Patch Watermelon & Airheads Xtremes Watermelon: Another popular American flavour that we don't seem to get as much here (especially in sweets) is watermelon. Why is it so ubiquitous in America? Anyway, these are both large sized products and have the same bright green and pink colours. 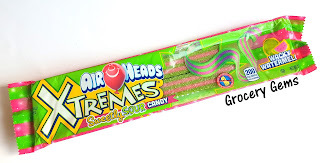 The AirHeads packet has 8 long candy strips so it's perfect for sharing. We all enjoyed the sweet and sour fruity flavours here. Reese's Peanut Butter Topping: This is exactly the type of American foodie product that I buy if I spot it anywhere. 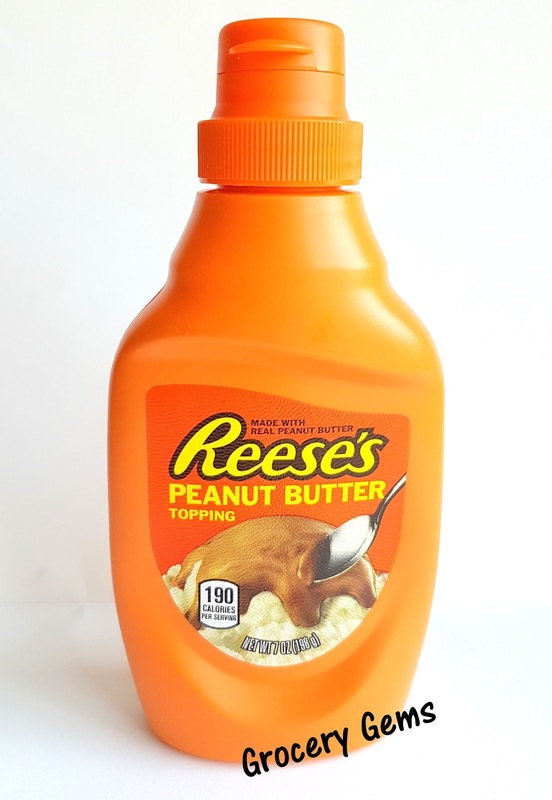 It's a peanut butter flavoured topping that can be used for ice cream but I can think of a million other uses too. 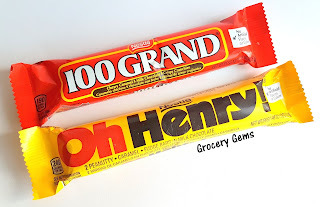 100 Grand & Oh Henry: I also received two full sized candy bars in the Taffy Mail. These are both American classics and I've enjoyed them both in the past. Mrs Freshley's Dreamies: These creme filled cakes are basically fake Twinkies! 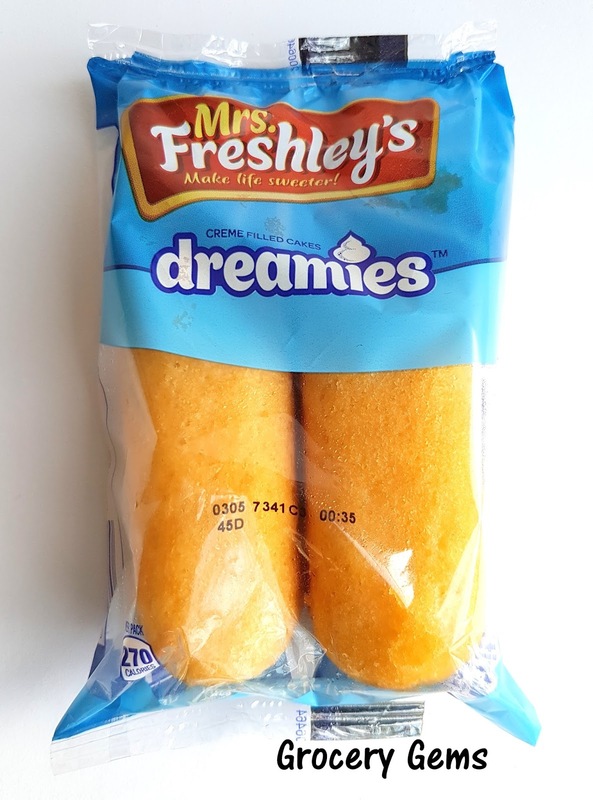 I'm not complaining though, since Twinkies are now available in most poundshops, it's actually more interesting to try this harder to find brand. Duff Energy Drink: This is such a fun looking product and was probably the one that got the most reaction when we were opening the box. 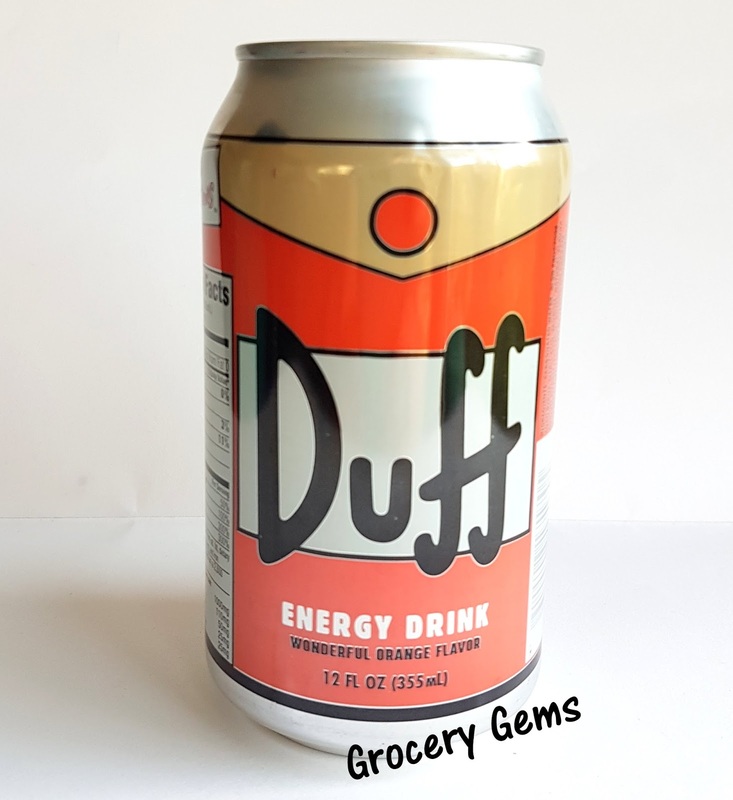 It's an orange flavoured energy drink but the real selling point is that this looks just like Homer's favourite drink. 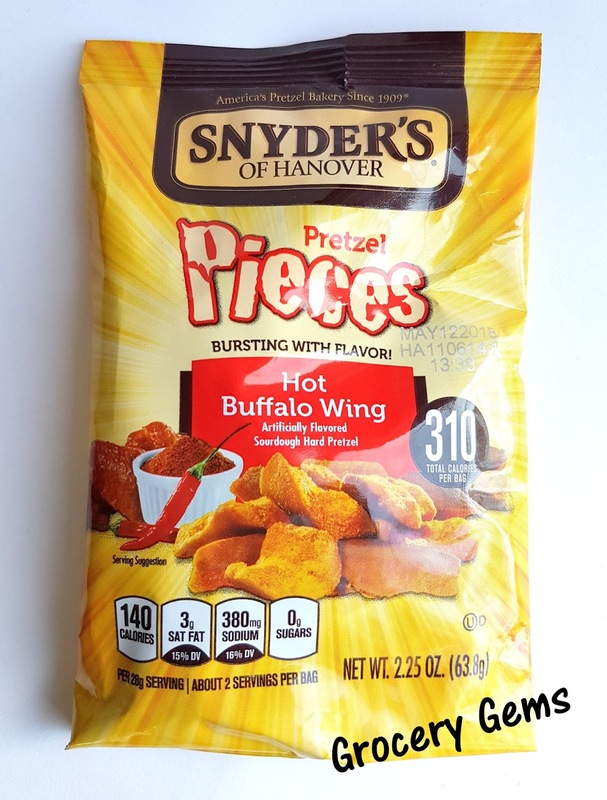 Snyder's Pretzel Pieces: I'm already a fan of Snyder's Pretzel pieces, especially their delicious Jalapeno flavour. 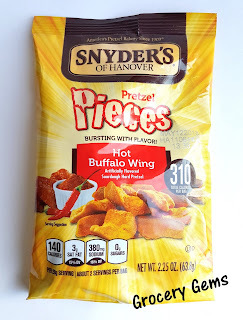 This Hot Buffalo Wing variety is just as delicious and was also packed full of spicy flavour. 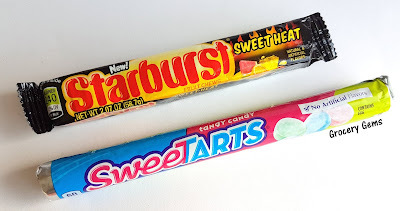 Starburst Sweet Heat & Sweetart: These Starburst are all fruity flavours with a spicy kick! 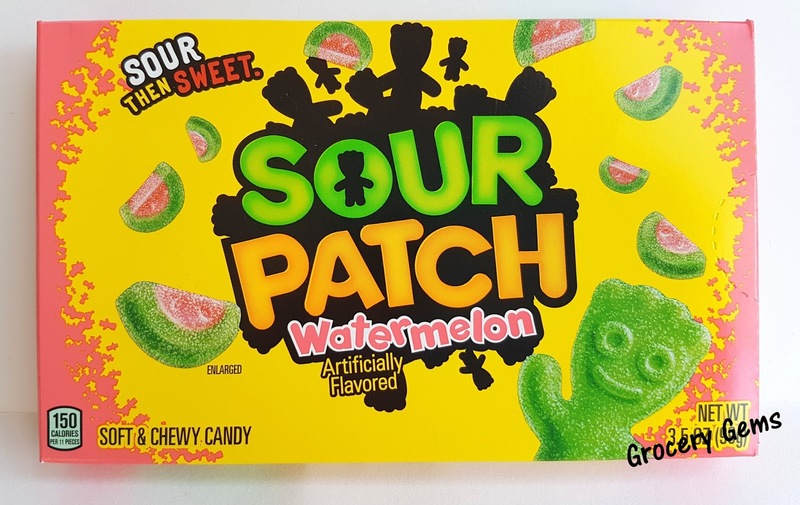 The full list of flavours is certainly unique; Fiery Watermelon, Flamin' Orange, Strawberry Mango and Pipin' Pineapple. The Sweetarts are chewy sour flavoured sweets in cute pastel colours. 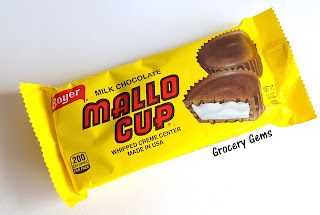 Mallo Cup & Yum Yum Candy Cones: There were also lots of smaller items in the Taffy Mail. These are both cute additions. 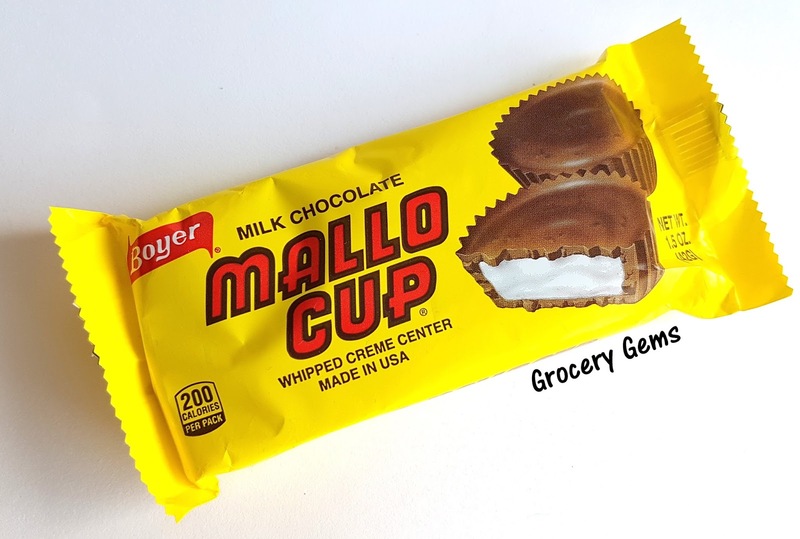 The Boyer Mallo Cup are chocolate cups are filled with a whipped creme center. 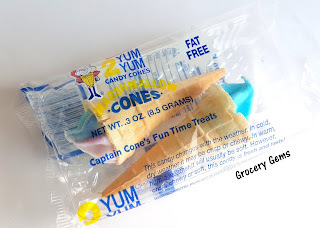 The Yum Yum Cones were very hard to photograph but they're really cute - little wafer ice cream cones filled with a soft candy. 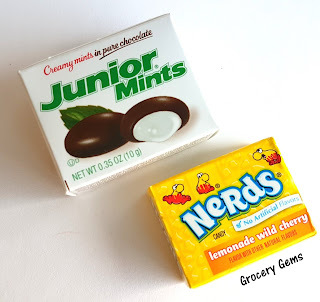 Junior Mints & Nerds: A couple of mini sized products too. 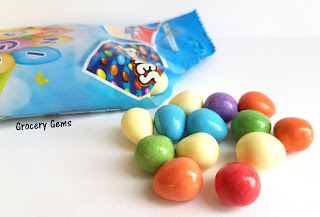 The Junior Mints are creamy mints in milk chocolate - I've always wanted to try these! Also a little pack of Nerds in a great Lemonade Wild Cherry flavour. Pop Rocks & Kool-Aid: Finally there were also two little sachets in the Taffy Mail - a Pop Rocks popping candy in strawberry flavour and a Kool-Aid drink mix in strawberry kiwi flavour. This Taffy Mail really did have an amazing selection. There were 18 products in total which would be similar to the Taffy Mail Extra category. I was sent a general box but I know that the most recent Taffy Mail for subscribers had lots of fun Easter products. It's well worth keeping in mind as a gift for the foodie in your life.